We made a partnership with the former #1 FIFA and FIFA Street player in the world drpolove. He will explain everything you need to know to improve your FIFA skills. 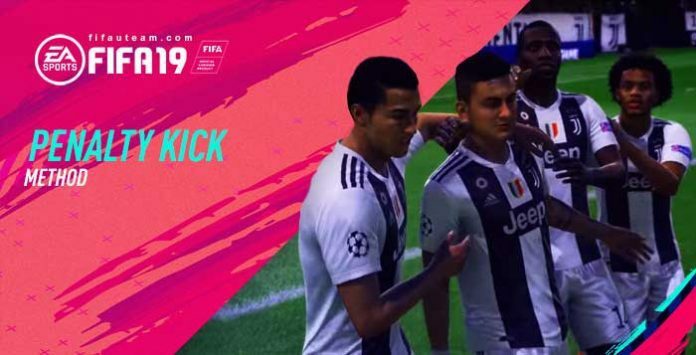 Today, he will share with you a secret penalty kick method that you can use in FIFA 19. Hey comrades, I’ve been scoring penalties with an abnormally high success rate for a long time (knock on wood lol). I’m going to share my method here, and unless this magically goes viral, it should remain super effective. Once you’re on the PK spot, wait a couple of seconds. Then hold down R2/RT to change your taker. Pick someone who would realistically take a penalty, a bigger name player with decent attributes. Wait a few seconds again. Apply little power (definitely don’t go into the yellow) and don’t aim. You want your shot to go down the middle. You can also hold R2 during the run up to speed up and give your shot more power but less accuracy. In this game, I recommend it since you’re already taking a super weak shot. If you sky it, you added way too much power to begin with. Anyway, the keeper will dive to a side 9/10 times in my experience. In almost 100 FIFA 19 matches, I’ve only had 1 penalty saved in Division Rivals. I’ve used this method in 18 as well. Obviously, this is for one off penalties and not for shootouts. When you calmly and slowly switch your penalty taker, the enemy typically assumes you have a preferred player and side. By making it seem like you’re gearing up for “the perfect shot,” you end up tricking your enemy into making the wrong move. Will This Really Work After Sharing It? Front page posts on this reedit get around 30k views. Let’s assume each one of these people actually took the time to read the post (lul) and does the “trick” regularly. That brings us to 60k people, some of which will tell their friends. Realistically, unless this method magically goes viral (which it won’t), you’re looking at a guesstimate of maybe 80k players knowing about this. For a game that sells 10s of millions of copies every year, 80k is nothing. It might have an effect on the Weekend League in the later months, but again, it’s not like these tips actually reach the mainstream for the most part. So anyway comrades, I hope this helps you get more penalty goals. If you have any questions, let me know! Not working for me… Way easier to aim in one direction and shoot in the other. Too much ppl try to cover the mid. Surprisingly it works like a charm. It is like 5/5 penalty scored so far.